From the human brain, event related potentials (ERPs) can be obtained which reflect psychological information processing. 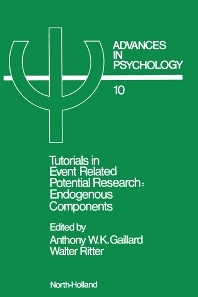 This book summarizes the theoretical and methodological aspects of research on the so-called endogenous'' components of the ERP. These components are invoked by psychological processing rather than evoked by the mere presentations of external stimuli.